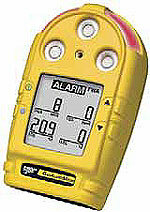 BW Technologies Ltd. manufactures a full line of gas detection equipment, IAQ (Indoor Air Quality) monitors. BW makes portable, hand-held instruments, as well as detectors that can be stationed or affixed in buildings. All of BW's products protect both personnel and the facilities where they work.